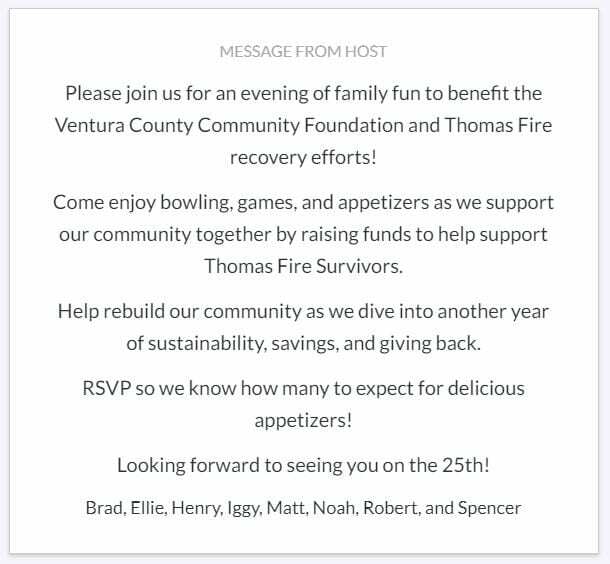 Come out to Discovery Ventura on Thursday, January 25 to support families affected by the Thomas Fire. Sunrun Ventura organized this fundraiser to help raise money for and support the Thomas Fire recovery effort. The event will be held at Discovery Ventura on Thursday, January 25, 2018 from 6–8:30 p.m.
See the flyer below for more information and RSVP at http://evite.me/kRFJXgPM3M.